Science! That’s got to be the immediate reaction to Let There Be Light, the new documentary about scientists who are, essentially, attempting to create a star in order to solve our energy crisis. Directed by Mila Aung-Thwin and Van Royko, the film primarily centers on the work of ITER (International Thermonuclear Experimental Reactor), “one of the most ambitious energy projects in the world today.” Based in southern France, engineers and scientists from 35 nations are working to build the world’s largest tokamak, a magnetic fusion device that has been designed to prove the feasibility of fusion as a large-scale and carbon-free source of energy based on the same principle that powers the sun and stars. It is a decades-long project that will cost upwards of six billion of dollars. The latest target date for completion is Christmas 2025. 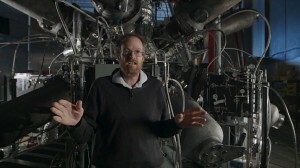 Along with the scientists at ITER, the film looks at other, smaller efforts to accomplish fusion. 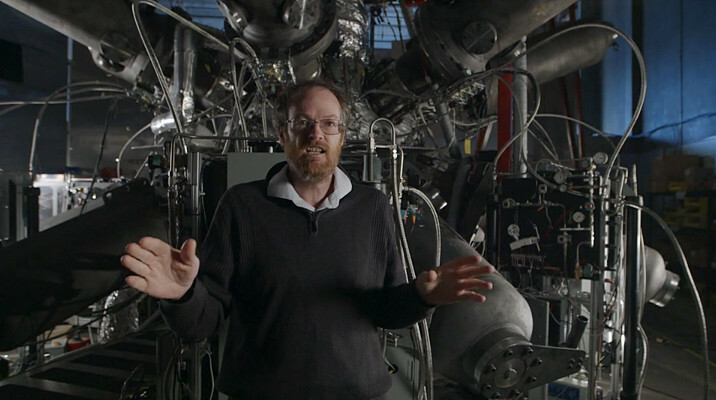 One scientist wants to create a fusion reactor using only materials that can be purchased at The Home Depot. Let There Be Light makes the case that fusion is the best hope for both our immediate crisis and our long-term energy needs. In the process, it is highly critical of our current “lazy” energy practices. One scientist says that this is a test for the human race to prove that we are intelligent enough to prevent our own extinction. Unfortunately and inevitably, the United States’ financial participation—especially in Light of Trump’s recent proposal to increase defense spending—is laughable. The documentary is also a celebration of these visionaries that are devoting their life’s work to a project that they will not see through to completion. Several of them refer to the work at ITER like the construction of a cathedral. Architects, artists, and laborers contributed to the creation of monuments that took decades to build. These structures still serve and inspire humanity. Let There Be Light forces viewers to ask what kind of future we–and our leaders–are working towards.